Join me in Alaska on the Annual Heritage Books Genealogy Conference and Cruise (Special Offer)! Are you interested in genealogy? Are you interested in DNA? Are you interested in Alaska? You didn’t really say “no” to any of those, did you?? 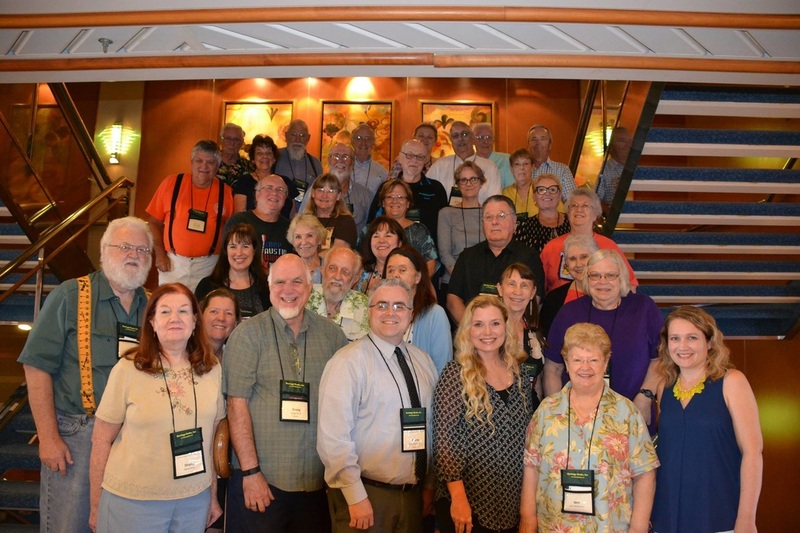 Heritage Books, a leader in the world of genealogy publication for four decades, is again hosting the Annual Heritage Books Genealogy Conference and Cruise! This year’s cruise on Princess Cruise Lines is in Alaska! The cruise departs from Seattle, Washington on September 17, 2017 and arrives back one week later on September 24, 2017. And just look at this itinerary! This year’s cruise has a terrific line-up of speakers, one I am incredibly honored to join. Debra Mieszala, CG – Debbie is a BCG trustee who specializes in forensic genealogy, 20th-century research, and the Midwest. She conducts genealogical research for the military to locate relatives of service members missing in past wars. Rick Sayre, CG, CGL, FUGA – Rick is a course coordinator and instructor for IGHR, SLIG, and GRIP. Areas of interest include, urban research, maps, government records, law, land, military, and technology. Craig R. Scott, MA, CG, FUGA – Craig is the author of The ‘Lost Pensions’: Settled Accounts of the Act of 6 April 1838 (Revised) and Records of the Accounting Officers of the Department of the Treasury, Inventory 14 (Revised). He has authored seventeen books and several articles in the National Genealogical Society Quarterly Family Chronicle, and other genealogical publications. He is the President and CEO of Heritage Books, Inc., a genealogical publishing firm with over 5,300 titles in print. Blaine Bettinger, Ph.D., J.D. – I’m an intellectual property attorney by day and a DNA specialist by night. I’m the author of the long-running blog The Genetic Genealogist, and I frequently give presentations and webinars to educate others about the use of DNA to explore their ancestry. A Special Offer – Book Now Through February 28th, 2017! I really want you to join me on this cruise; the more the merrier! From today through February 28th, 2017 only, if you sign up for the cruise and send me proof of your booking (also dated between today and February 28th), I will send you a FREE and SIGNED copy of The Family Tree Guide to DNA Testing and Genetic Genealogy! Oh, and as a REALLY special offer, you get to meet my two boys, ages 12 and 8 by then, on the cruise! Heritage Books is the largest genealogy publisher in the world, with almost 4,900 titles and another 40-50 new titles each month. Founded almost 40 years ago, Heritage Books has provided customers with engaging and informative titles in genealogy, history, military history, historical fiction, and memoirs. Heritage Books is located in Berwyn Heights, MD. More information is available at www.heritagebooks.com. Look at the fun we had the last time I attended in 2015!! More information about the Heritage Books 2017 Cruise is HERE! Previous Article Do NOT Miss the NERGC Conference in Springfield in April! Next Article Winner of The Genetic Genealogist 10th Anniversary Sweepstakes! Blaine, I have your book and love it. I had my Y-DNA done by Family Tree DNA. I connected with a relative in England through the results I got. We matched on 107 of 111 Markers. My grandfather, John David Baugh, was born John Kelly 15 May 1877. In the 1880 census he is listed as a boarder in the house of Marcus Newman. his step-grandfather. I verified this through my Ancestry DNA testing which confirmed that his mother was Alice Rozella Kelly. When Alice married William Green Baugh 2 Dec 1880, his name was changed to John David Baugh.. I checked Butler County KY for adoption records. Court records start in 1882.